I can only ever associate Dolly Madison Zingers with the Peanuts gang. They sponsored the TV specials and that was a brilliant marketing decision, because I don't know how I would have heard of them otherwise. 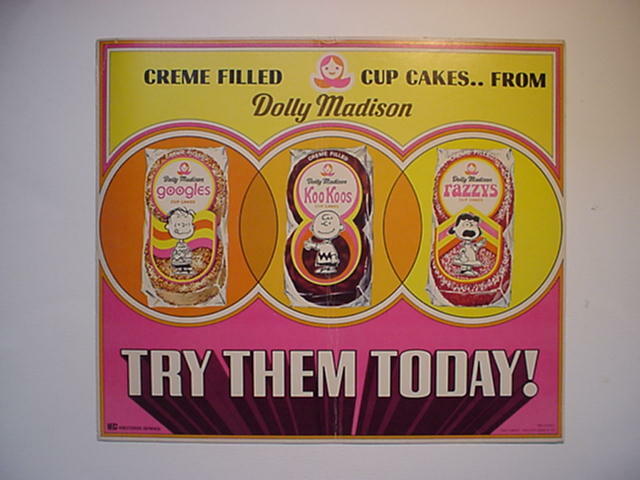 Did we even have Dolly Madison in the Twin Cities? We had Hostess, but were severely lacking in more regionalized snack cakes. We did not have Drake's Cakes -- years later, it took me a while to realize that Jerry Seinfeld wasn't just making up Ring Dings and Yodels. We did not have Tastykakes -- it took working with someone from Philly who got regular care packages from home for me to ever taste a Butterscotch Krimpet. And if there are other regional cakes out there, I don't know 'em. I THINK we had Zingers, maybe, but they were few and far between. And on the rare occasion when we did have 'em, I found them a sad substitute for Hostess. But when a "Peanuts" special came on and the little round-headed kids started raving about them, they suddenly sounded awesome. Dolly Madison AND Drake's are now both owned by Hostess, which will eventually take over the world. 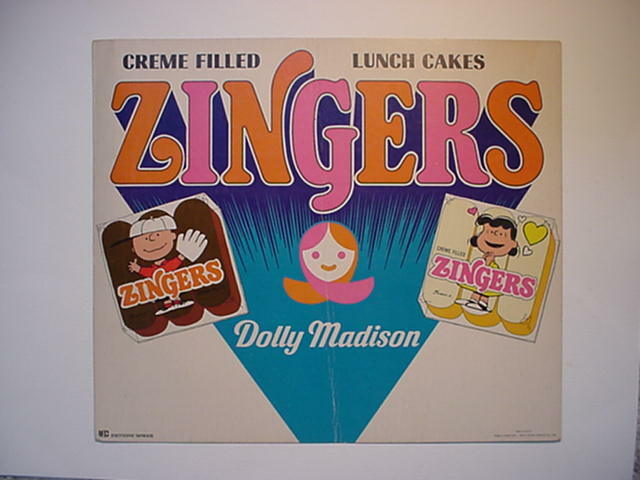 Why am I musing about Zingers and their Peanuts connection? Because Saturday is the 60th anniversary of the day Minnesotan Charles M. Schulz put pen to paper and first created woeful Charlie Brown and his gaggle of friends. Thanks, Sparky. Your little drawings meant a lot to a lot of people, even if your own life (as so well described in the amazing book "Schulz") was not always so bright. Oh, and speaking of Zingers, check this out. It advertises Googles (well before the search engine), Koo Koos, and Razzys. Koo Koos are in this commercial and they appear to be just Ding Dongs. Is it really a great idea to have your whole ad just apologizing for the stupid name?